This vegetable belongs to the Umbelliferae family and is typical of the Mediterranean basin. In ancient Greece it was considered a medicine of such importance as to be considered sacred and represented in coins. The ancient Sicilian town of Selinunte is devoted to celery. In the Odyssey it is said that Achilles would use celery to treat his horse. Eating celery has been reported since the 1600s in French cuisine, and only from the 1800s in the United States. Celery is a diuretic, suitable for combating obesity and recommended against winter ailments from sore throats to the bronchial affections. Celeriac regulates metabolism and thyroid functions. 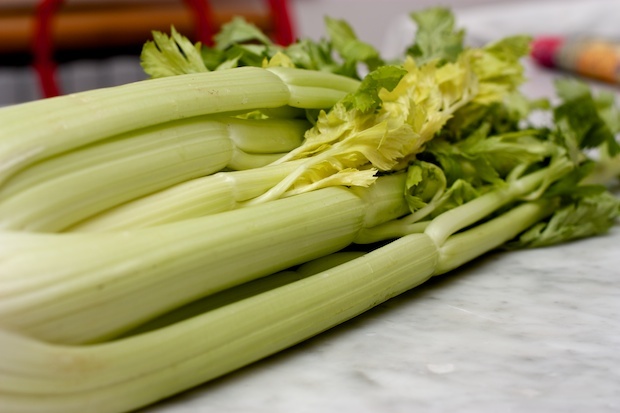 There are three most common types of celery that are normally found in the bouquet of the vegetables. 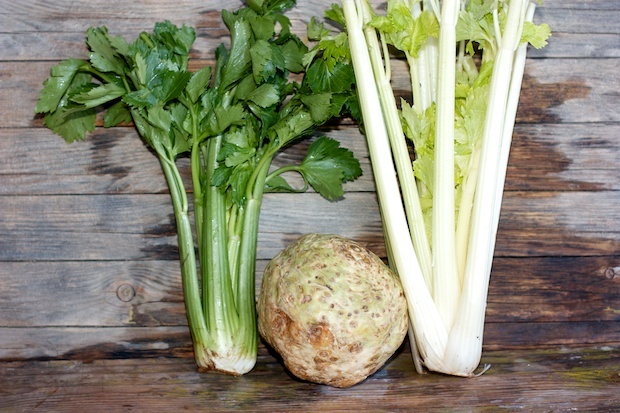 White celery, celeriac or celery root, and green celery. There is also a red celery from Orbassano (TO), a rarity that was brought to Italy by Princess Anne Marie d’Orleans, wild celery and a wild mountain celery called Lovage. 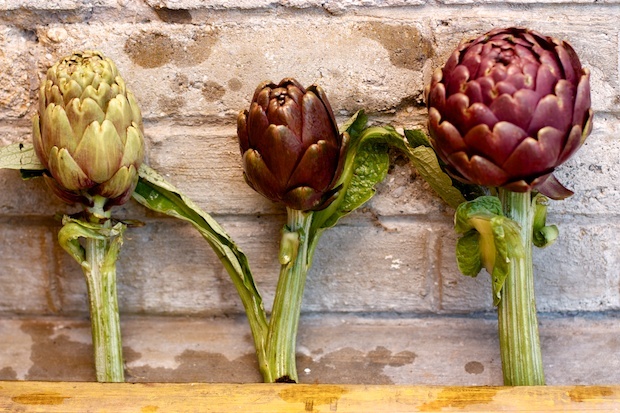 When you purchase artichokes they should not have dark spots and you can recognize their freshness by touching them. They should be tight and the artichoke that should be firm. Soft tissues are more bitter and stringy. The story of this vegetable ties together the garden with the yard. Between 1860 and 1870, a garden expert was called to “Villa Palazzi” (now Taverna) in the municipality of Dosson to build an English garden. During the construction of the garden, the Belgian Van Den Borre experimented with the imbianchimento (whitening) technique (well known in his country and applied for Belgian endives). 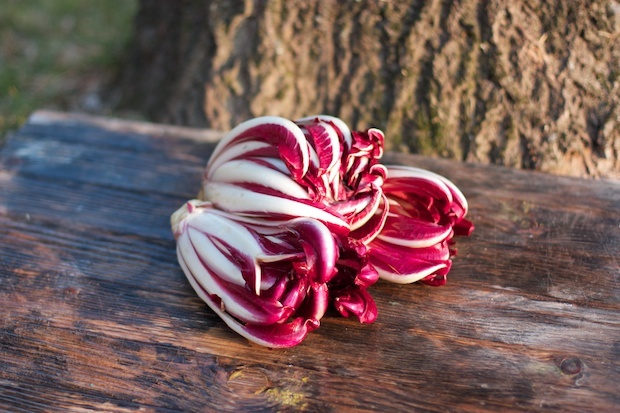 Thus Radicchio di Treviso was born, also called “Winter Rose”. The first exhibition of the vegetable was presented in December 1899. For the month of December I thought it would be useful to give some advice on wines to accompany the menu that I propose for Christmas. My husband and I decided not to mention the names of wineries. This blog is also read in the U.S., and we are not yet able to know all the wineries in California or other parts of the U.S. to advise properly. Also suggested are wines that are produced by a winemaker or farmer you may know, who could offer a quality wine even if it is not known. This dessert “cleanses your palate” and does not need a wine. I discovered this variety of cabbage for the first time in Poggio Capanne (Saturnia) in Tuscany at trattoria “Bianchina”. The crostini with cavolo nero were a real treat. 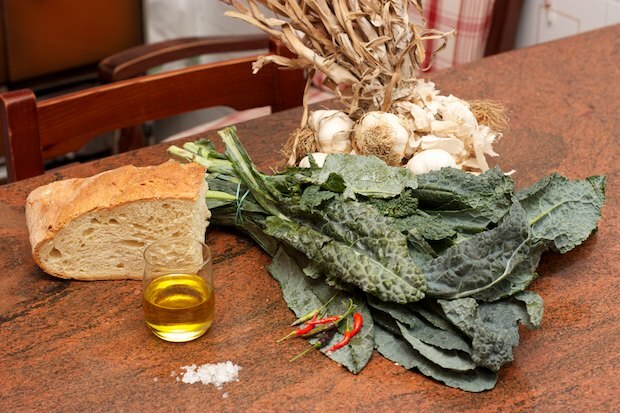 Cavolo nero is perhaps one of the oldest varieties of cabbage, now mainly grown in Tuscany. A few years ago it became available many supermarkets. Buying pumpkins and cooking them means you are contributing to your health. This vegetable is low in calories (only 15 per 100 grams) with considerable satiating power. 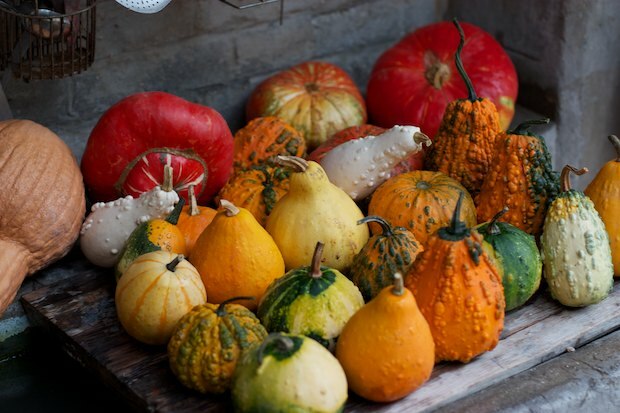 It is rich in potassium, calcium, phosphorus, and fiber and like all orange vegetables and fruits, pumpkins have moderate amounts of vitamin A and C.
To cook well in a balanced way it’s necessary to have good organization and accessibility to your ingredients. If you haven’t picked up this skill yet, let me suggest a few tips so you always have what you need in the house, allowing you to manage unexpected guests. First, you need to dedicate at least 15 minutes to prepare a shopping list. The list needs to be written and brought with you to the supermarket. In making the list, you should take into account your tastes and those who live with you. If you want to prepare the menu during the week, so you should look in the fridge and in the kitchen cabinets to note the ingredients you might already have. Until you are able to mentally note these things yourself, it is very important to follow the written list. In the supermarket you may be intrigued to buy new products, once you get home you should figure out how to use them right away so that you don’t end up throwing them out. If you happen to find deals on the type of meat or fish you usually purchase, make sure the product is fresh and purchase in quantity. Once you get home, place the meat or fish in plastic bags that have been sealed tightly. In each bag, remember to put the quantity that fits the size of your family. Arrange them in the freezer so that they are available for new recipes. This process helps save money and reduce shopping time. The freezer can be used for all the fresh ingredients that are suitable for freezing. Over the next few weeks, we will talk about this a bit more.